Most real estate on the market is comprised of homes listed by real estate professionals. In addition, some properties may be available for sale directly by the owner. FSBO is the industry acronym for “For Sale By Owner.” One of the common misconceptions with Gulf Shores FSBO properties – or FSBOs – is the myth that because the sale doesn’t involve a real estate agent it will somehow be simpler. This is rarely the case. Let’s examine a few key points to keep in mind if you’re in the market for Gulf Shores real estate and come across a home that is advertised as a Gulf Shores FSBO. Most Gulf Shores FSBO sellers will still work with your agent. Typically, savvy home sellers are aware that most buyers they encounter have a close relationship with a buyer’s agent. As such, they will usually make arrangements to ensure the buyer’s agent will be paid for their efforts. Dayton area real estate buyer’s agents are important participants in the home buying process. If you’re interested in taking a closer look at a Gulf Shores FSBO, consider calling us to make the initial contact with the seller on your behalf. If you’re truly interested in a Gulf Shores FSBO home, you’ll find a way to work around the drama. Remember, lean on your agent for assistance and expertise. In addition, if you find it necessary to view the home without the owner being there, just ask. 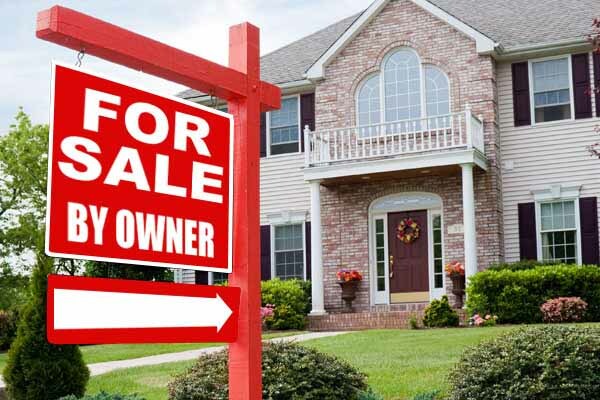 While it’s always a little uncomfortable for owners to have prospective buyers “snoop around” by themselves or with their agent, if you’re selling your home as a FSBO it goes with the territory. Try to put yourself in their shoes and understand how you might feel if the roles were reversed. Then, use that to your advantage by assuring the seller that you simply want to take some extra time alone to envision your furniture and your belongings in what may end up being your home. Once the seller understands your insistence and reasoning, they will likely be more open to letting you have all the time you need – especially if it means the difference in making the sale. Also of Interest Sell Your Home with an Agent or Sell It Yourself? Regardless of whether a home is being sold as a FSBO or not, real estate sales laws still apply. Sellers have an obligation to disclose existing issues about the home to the buyers. In addition, the seller could also be bound to have the home inspected and perform certain repairs. Unfortunately, many Gulf Shores FSBO sellers are rookies when it comes to selling homes, and they simply aren’t aware of the laws or common industry practices. Again, rely on your agent – and your own instincts – to determine if a seller is shirking his responsibility or making it more difficult to inspect the home than it should be. It could be a tell-tale sign that the seller knows something about his home that he doesn’t want you or your agent to find out about. If that’s even remotely the situation, keep looking. Life is too short to deal with difficult people, and money is too valuable to take a risk on a home that may be trouble in the future. If there’s one factor that tends to remain consistent when owners try to sell their homes directly, it’s overpricing. Not having a knowledgeable professional real estate agent to consult often means sellers price their homes unrealistically. They tend to dismiss the market comparables and any other recent sales data and erroneously assume their home is worth more than the others in the same neighborhood. You'll often hear rationalizations or justifications expressed by owners that go something like this: "Our home is the nicest one in the neighborhood." While it's normal for any homeowner to have pride in their home and want to get top dollar when they sell, the cold hard truth is more like, "Your home is pretty much like all the others in the neighborhood – some are more attractive, some less." It’s not necessarily greed that motivates them to inflate their asking price, it’s more a case of just not knowing the market – and the Gulf Shores home selling process. Again, they’re rookies, and just like in the big leagues, rookies make mistakes. Just keep this in mind: A Gulf Shores FSBO home is just a home, it just happens to be listed for sale by the homeowner. Discuss the home with your agent and get his or her thoughts and input. While the negotiation process may be a little different since the sellers are going solo, remember there are still certain obligations incumbent upon the sellers. Don’t be intimidated by the fact that the seller is listing the home directly – as mentioned above, that doesn’t necessarily mean he knows more about Gulf Shores real estate than you – and he certainly doesn’t know the process as well as your professional agent.